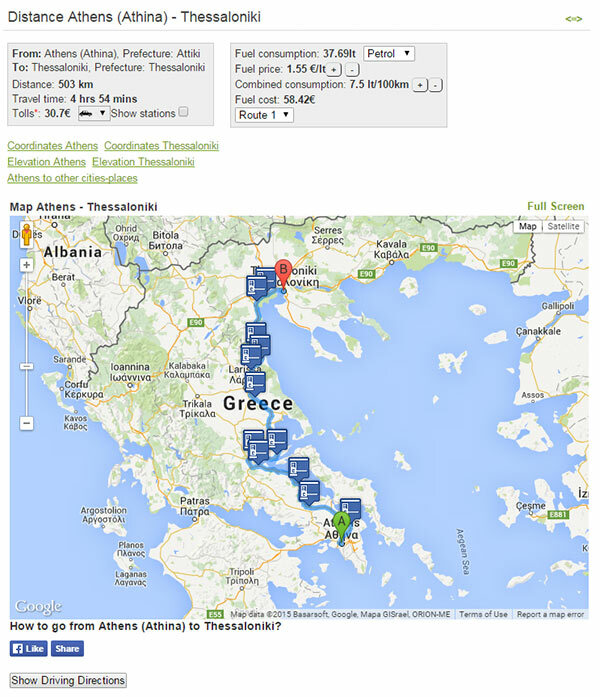 Toll cost calculator and fuel cost calculator (petrol, LPG, diesel) for any route in Greece in website vriskoapostasi.gr/en by car. Choose from three fuel types (petrol, LPG, diesel). Fuel price and fuel consumption are adjustables. There are alternatives routes, driving directions, elevation and coordinates.